After four years as a hotel sales executive in India, Anamika Setaluri travelled to Australia for a Master of International Hospitality Management at Le Cordon Bleu. 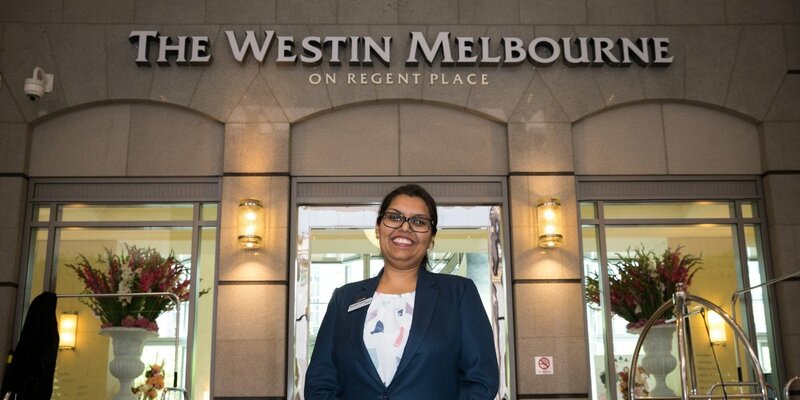 Today, Anamika is thrilled to work as a Sales Specialist for Westin Melbourne (Marriott Group) with a bright future to match her bubbly personality. Within three hours of starting her first hospitality role as Guest Services Officer at Taj Banjara Hotel, Anamika had been promoted to Banquet Sales. Having just completed a Bachelor of Hotel Administration in India, her career was off to a promising start. As a child Anamika was inspired by her uncle, a Hotel Sales Consultant, who told her exciting stories about working at the luxury Oberoi Hotel. Seeing the glamour of his workplace fired her passion to work in a hotel when she grew up, however today, her perspective has deepened. The desire to advance her career led Anamika to consider postgraduate study and having heard repeatedly that Le Cordon Bleu was the best place in the world to study hospitality management, she travelled to Australia for a Master of International Hospitality Management at Le Cordon Bleu Adelaide. A 6-month Le Cordon Bleu Work Integrated Learning placement at Intercontinental Hotel in Adelaide as a Commercial Intern (Sales & Marketing) gave Anamika the real-world experience needed to kickstart her career in Australia. Finishing up her internship at the Westin Melbourne in March 2018, Anamika has stayed with the Marriot group in her role as Sales Specialist (Catering) which she adores, selling seated High Tea events to private venues, customised birthday & Xmas parties, and cocktail events. In the near future, Anamika sees herself travelling the world with the Marriott Group, with her cherished long-term goal to become Director of Sales (Event Catering) for an international hotel group.